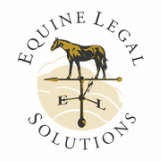 At least once a week, Equine Legal Solutions receives a call or email from someone wanting to know whether they have a good case against someone else for slander. In almost all cases, the answer is NO! Our U.S. Constitution and its amendments guarantee broad freedom of speech and freedom of the press, and the exceptions to those important rights are generally very narrow. What are Slander, Libel and Defamation? Defamation of character includes the civil offenses of libel and slander. Note that these defamation offenses permit the injured party to sue for damages, but they are not crimes. Someone has slandered you if they have made oral statements that injure your reputation and/or business, and they either knew that those statements were not true OR they were reckless about whether the statements were true. For example, if you have a perfectly sound horse for sale, and a rival trainer down the road tells a prospective buyer, “That horse has navicular,” and the prospective buyer tells you that they will pass on the horse because of what the rival trainer said, the rival trainer has committed slander. Libel has the same elements as slander, only the statements are made in print (or on the Internet) instead of orally. If the rival trainer had sent that comment in an email instead, it would have been libel instead of slander. Why Aren’t There More Lawsuits for Defamation? The horse industry is highly dependent upon personal reputation, and catty gossip is rampant. Why aren’t there more lawsuits for defamation? One key reason is that truth is a nearly absolute defense – if the statement is true, you can’t sue. In the example above, if your horse actually had navicular, you wouldn’t be able to successfully sue the rival trainer for slander. Another reason is that opinions are protected free speech. If the trainer had said, “I think that horse might have navicular,” that statement would be the trainer’s opinion and therefore not considered slander. Hurt feelings aren’t enough – you have to be able to prove economic harm. If one of your boarders spreads a rumor that your stall cleaners are beating the horses, and several of your boarders leave as a result, you can show economic harm if those stalls stay empty (but not if you have other boarders on a waiting list to take their place) AND you can prove that the boarders left because of the rumor. Even if your situation meets all of the legal elements of libel or slander, does it make sense to bring suit? Your professional reputation should be strong enough to withstand ordinary gossip, and defending yourself against rumors can make you look defensive and give the rumors more credence than they deserve. Consider that most nasty rumors eventually die out on their own as the gossips move on to new topics, but rumors will live on indefinitely if they are the center of a court battle. Consider also the price of bringing suit vs. the measurable amount of economic harm you have suffered – are the legal fees and court costs worth the price (not to mention the emotional energy)? Finally, consider that unlike supermarket tabloids, most barn gossips are not rich – even if you get a judgment against them, it may be very difficult to collect. Suppose you have a situation like the navicular rumor above where you are being economically harmed, and you know the source of the rumor. Many of our clients have found self-help to be extremely effective. You can crisply and professionally approach the source of the rumor, explain that it has come to your attention that they are spreading the rumor, inform them that the rumor is not true, and let them know that if they do not refrain from spreading the rumor further, you will consider legal action. In many cases, you may be too furious to approach the source of the rumor yourself without risking losing your temper, and in those instances, you may find it helpful to have your attorney send the rumormonger a cease-and-desist letter.